It’s a good question. After all, there’s a lot of bad information and bad assumptions out there—articles promising that you can get rich quick from travel blogging, even without any writing skills, or articles that encourage you to quit your job and figure it out as you go…a course of action that’s probably a terrible idea unless you have a lot of money in the bank. So, here’s the truth: I personally do not know a single person who makes their full-time living from their travel blog. That’s right. I know a lot of bloggers. Some who have small followings, some with large readerships. But I don’t know even one who is supporting themselves solely from blogging. Sure, most of us make some money off our blogs. Some of us run ads. Others do sponsored posts. Still others are part of affiliate programs. And pretty much all of us use our blogs to help us succeed in our other endeavors—selling books, getting consulting work, landing freelance writing gigs. But every single travel blogger I know makes some, if not most, of their money from something other than blogging itself. Which is why I asked a bunch of bloggers whose work I respect to share their stories today—share their wildly diverse ways of making a living. Travel blogging isn’t a get rich quick scheme. It’s not a launching pad to immediate fame. It’s not a way to fund indefinite travels. It’s something we all do because we enjoy it. We blog because we love to write. Or to photograph. Or to share. Or to educate. We blog for reasons deeply personal and sometimes inexplicable and as varied as the day is long. We blog to keep in touch. We blog to reach out. We blog to promote our books or products or services. And if you want to start a blog for your own deeply personal and wildly varied reasons, I say go for it. I’ve been blogging for upwards of 15 years and there are a hundred ways it’s been valuable to me. But don’t think that blogging itself is an easy way to make money. It’s just one tool in a very large toolbox we travel bloggers use. I’ll kick off this discussion, myself. As you probably already know, I’m a career writer who has been traveling the world full-time with my freelance writing business and my small dog for three and a half years. Income Streams: Book sales (50%), freelance writing for magazines and online publications (45 – 50%), affiliate sales & donations on the blog (<5%). My six travel guides make up about half of my income—selling through my own website, Amazon.com, Barnes and Noble, bookstores, and other online retailers in both print and eBook. Interestingly, print outsells eBooks at least two to one. I also make a very small amount of money from affiliate sales. If you aren’t familiar with the term, I simply mean that throughout the blog I occasionally link to books I’ve read or products I like and every time I send a sale over to Amazon, they give me a commission. There’s no cost to my readers and I only link to things I genuinely recommend, so it’s a relatively easy income stream for me, though a small one. Finally, I also do a whole lotta freelance writing. I’m a magazine correspondent and write articles for a variety of publications both online and in print. I’m also very occasionally paid for my photography, which I usually calculate as a part of my freelance writing income. When I was doing freelance copywriting and content strategy full-time, it took me less than a year as a freelancer to start breaking even on my expenses. When I quit that work and started working full-time on the books and magazine writing, it took about two years to start breaking even. 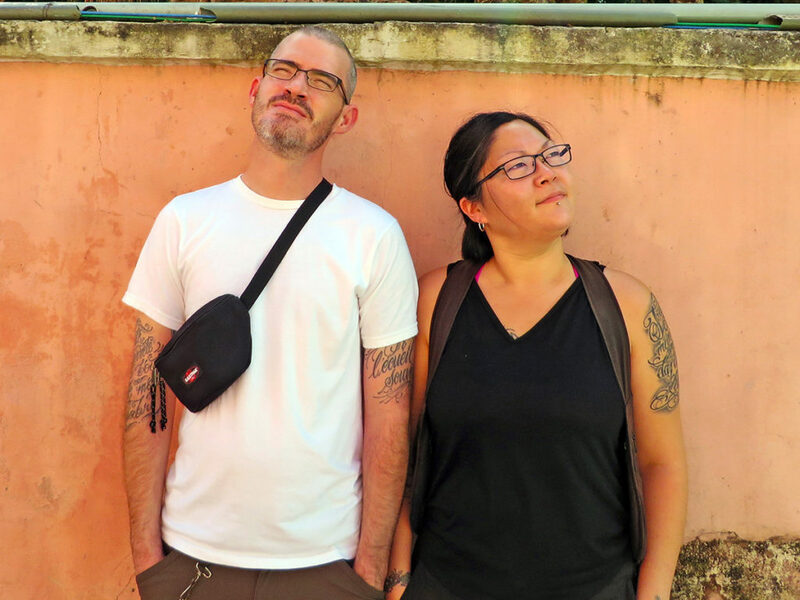 Pete and Dalene Heck are behind the blog Hecktic Travels, which chronicles their nomadic journey since 2009. In 2014, they were recognized as Travelers of the Year by National Geographic Traveler. Income Streams: Social media marketing campaign management (64%), freelance writing and video production (10%), brand partnerships (10%), eBook sales (10%), other (6%). – Through partnerships with brands for promotion via our blog or social media channels. This is not as big a stream as it could be, by our choice. We partner with very few and only if we feel they are a good fit for our audience. We prefer to mainly keep our blog as ad-free as possible and return it to what it started as: a labor of love. – Freelance writing. We actually don’t do a lot of it, as we don’t like doing it. But we will occasionally if the offer is right. – Freelance video. Several brands, seeing our footage on our blog, have asked for cuts of our video for their own use. – Public speaking. We have only been paid to speak a couple of times in the past, but are hoping that this will grow. – Ebook sales. We currently have two on offer: one about housesitting that we published in 2011, and our latest, which was just released last month, for the travel industry on how to work with travel bloggers. Although it is in its early days, we are very encouraged by the response we are getting from brands for the new book. Not only in terms of the number of sales, but also in how it’s opening doors for us and we’re having many great conversations with the industry. We are in the throes of planning one more ebook directed at travel bloggers. We hope to release that in the next couple of months! – Social media marketing campaign management. Through our company, Hecktic Media Inc. (HMI), destinations and brands hire us to manage their campaigns. This includes: finding the right bloggers to work with, managing itineraries (if applicable), sometimes even arranging their travel, and then reporting on the results following the campaign. This is our biggest source of income. – Blogger management services. Again through HMI, we have begun working with some bloggers who want assistance with pitching, negotiating, and contracting with brands. We are doing this on a very limited basis (only four bloggers right now), but this may become a bigger avenue for us as the industry continues to strengthen their embrace on working with bloggers and bloggers look to outsource more of the behind-the-scenes work. It took us almost three years (thank goodness for our savings)! In the first couple of years, we thought that if we focused all of our energy on our blog, it would generate enough income so that we wouldn’t have to worry about anything else. But then we found that we were enjoying the blog much less and so started to look elsewhere (hence the development of HMI). It has been a great success and we’ve worked with many cool brands. Going forward we hope to even out the income streams above with a couple more passive income projects. Average monthly budget: Costs vary, but yearly average is about $30,000 per year. 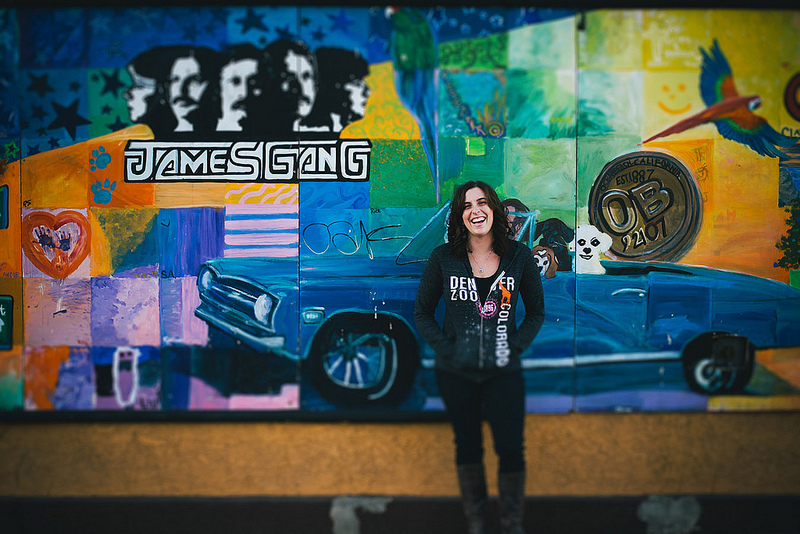 Jodi Ettenberg is a writer, photographer, and food-obsessed traveler exploring the world since she quit her job in April 2008. 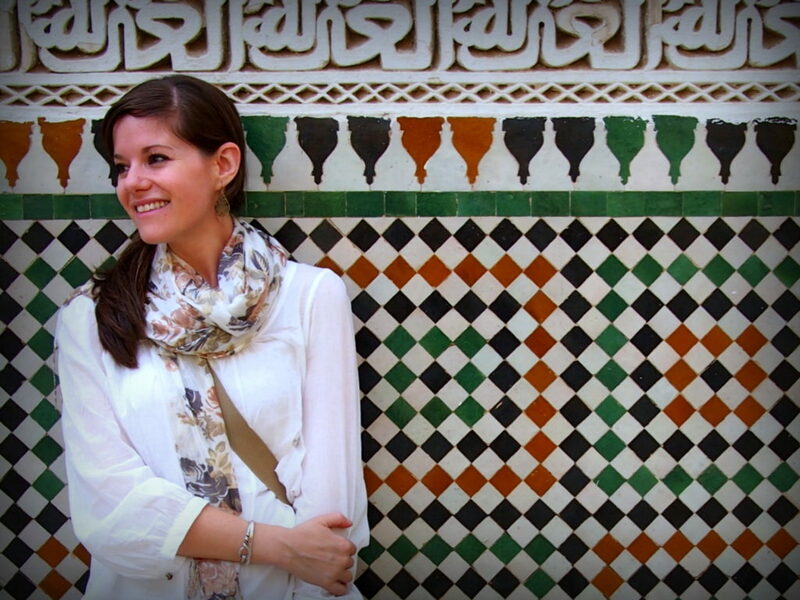 She founded Legal Nomads to tell the stories of the places she visits, often through food. 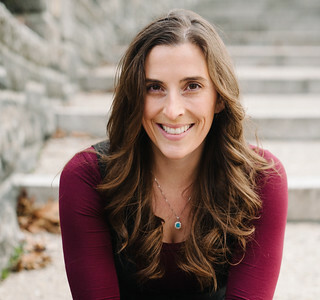 She is also the author of The Food Traveler’s Handbook: How to Eat Cheap, Safe, and Delicious Food Anywhere in the World and recently won a Lowell Thomas Award for best travel blog. Prior to founding Legal Nomads, she worked as a corporate lawyer in New York City for five years. She frequently speaks about social media strategy, food and travel, and storytelling. Income Streams: Consulting, editing, and brand ambassadorships (50%), affiliate sales, book sales, public speaking, food walks, and my online store (50%). Income streams include: editing books or longform writing, consulting work in social media, affiliate sales on Legal Nomads for products I use in my travels, Food Traveler’s Handbook sales (digital and print), brand ambassadorships, freelance writing, public speaking, the Legal Nomads store, and, when in Saigon, food walks for my readers. There is no fixed division because it depends on what is selling. When I launch a new item in the store, sales increase, but other months they do not. I do not do food walks unless I’m in Saigon, but when I do they are the highest percentage of income for that month. It depends on my focus and rolls out that way as a result. I would say 50% taken by the consulting/editing and brand ambassadorships, with the others taking up the rest. Month to month it does vary widely, however! The first two years were spent traveling around the world and occasionally updating my blog, often from internet cafes. I didn’t really think of it as a business and still planned to return to my work as a lawyer. In 2010, I was offered work as a freelance writer and it dawned on me that I could potentially shift into a new (very fun) career writing about travel and food. It took about two years to be sustainable from there, but I had four years of building an audience for the site total before it started to serve as a platform for additional work. Many of the income sources derived from what readers asked for directly: a book to eat the way I did, food walks in a city like Saigon, etc. Average monthly budget: $700 per month in Southeast Asia; $1,500+ in other parts of the world. 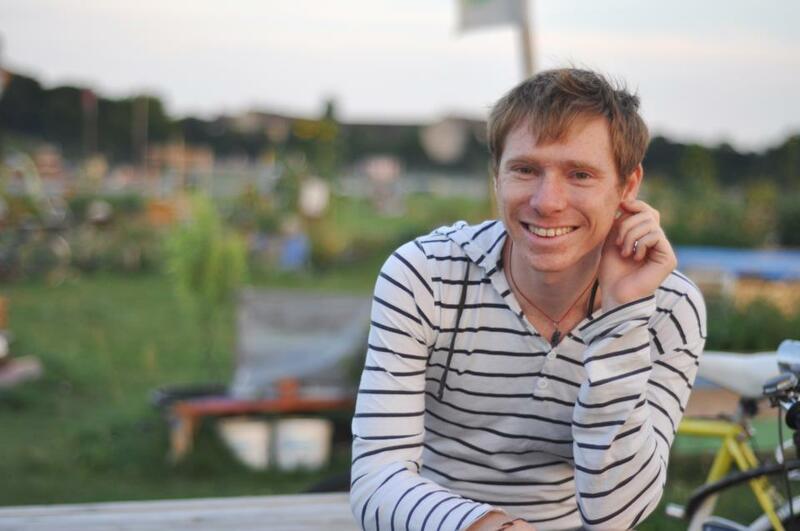 Adam is a freelance writer and travel blogger based in Berlin, where he covers city trips in Europe and around the world, expat life, LGBT issues, festivals, and nightlife. When he’s not out exploring the coolest bars and clubs, he’s usually enjoying the local arts and culture scene. His travel stories are available on his top-rated blog, Travels of Adam, notable for a series of Hipster City Guides. Income Streams: Online marketing consulting (65%), blogging, including display ads, sponsored content, and affiliate sales (20%), travel writing (15%). I started my blog initially just for fun—a way to keep busy and learn new things since I’d just quit my job in the middle of the US recession (back in 2010). I never intended to make it my full-time job, nor did I plan for a career change (I used to work as a graphic designer). Once I moved to Berlin in the summer of 2012, after working briefly for some tech startups, I found more and more ways to make a living as a freelancer. In the past six months to a year, I’ve really started to increase my time doing travel writing as my newest source of income. It doesn’t always pay as well, but I enjoy it and the experience of working with editors has been very rewarding. Pam Mandel is a freelance writer, photographer, and blogs at www.nerdseyeview.com. She lives in Seattle, plays the ukulele, and really likes cake. Income Streams: Freelance writing and content strategy (95%), affiliate sales (5%). My sole income source is really freelance projects, writing and content strategy. It goes across disciplines. For example, right now, I have a client that is building a website that supports fundraising for cancer research, a client who does environmental policy and research, a financial services client, and a handful of travel writing projects. Even those are diverse. I have an accommodations client I write guide type pieces for, a tour client I write more philosophy of travel stuff for, and I pitch stories to major publications. I have a handful of commissions scheduled out through spring—a travel magazine, a regional newspaper, another tour operator…lots of different things, but all from the same source. I make a tiny bit of money on Amazon affiliate sales, probably less than 5% of my monthly income. Sometimes I pick up a little honorarium money teaching, like that for my annual stint at the Book Passage Travel Writers Conference. Have I done that? I don’t know. Some months, it’s fine, and some months, things are thin. I’ve been freelancing for over 15 years now and my income still varies wildly. For example, for many years in a row, I could easily count on earning $60 – $70k USD, but my cash cow client was acquired by a national firm and now all the work that they used to give me goes in house. I’m rebuilding that now by diversifying my client base and not wasting my time on gigs that won’t net me a decent hourly rate for the work. Next up: Angela, Ryan, and Louis, their grumpy, old, cute dog, who also happens to be their mascot. They left their old world behind for the expat life in 2011 and then became full-time travelers in 2012 after a year and a half in Berlin. They love to travel the world, live in different places, get to know people and new cultures, learn languages, and do lots of sitting in cafes. They’re designers, and they blog about their travels and experiences living out of a suitcase. We are designers and owners of Smash Transit—where we sell t-shirts we’ve designed. While you could call it our only income stream, our sales are diversified between our website, third-party websites like Amazon, and wholesale sales to brick-and-mortar retail stores. We do not earn from the Jets Like Taxis blog…and that has never been a goal of ours since we already have jobs. A long time. We started this in 2003 but didn’t both do it full-time until 2011. While living in Berlin, we struggled greatly in the financial department. For a while, we couldn’t even afford something as simple as going out for a cup of coffee—one of our most favorite things to do. This struggle forced an evolution in our business and fortunately we made it through to the other side. We turned things around after our 2011/2012 evolution. Of course, we could have done it faster had we known then what we know now. Had we been in this position earlier, where we had to adapt to survive, without day jobs and all that, we probably would have evolved sooner. One thing we think that everyone should know is that they have to be willing to evolve and adapt. Otherwise, they’ll just get crushed and/or struggle forever. Think outside the box, you never know what you might find. We worked our asses off for this (and still do) but that doesn’t mean we couldn’t have done things better or made things easier on ourselves. Average monthly budget: Not set, but less than 1000 euros per month for accommodations. 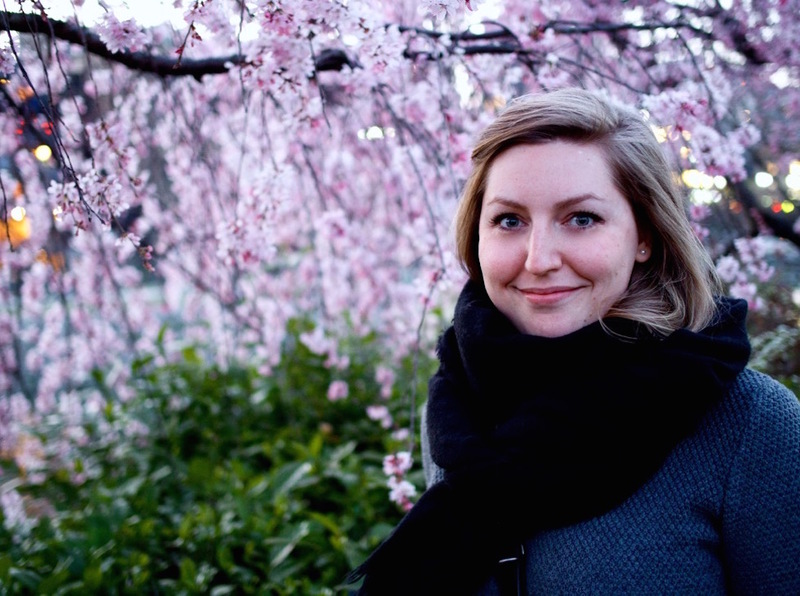 Ali is a freelance writer, blogger, and travel addict who made it to all seven continents before her 30th birthday. She enjoys travel planning, encouraging others to see the world, and packing carry-on only. Her husband, Andy, is a web developer who enjoys fantasy geekery found in board games, video games, and books. He writes steam punk novellas and short stories. 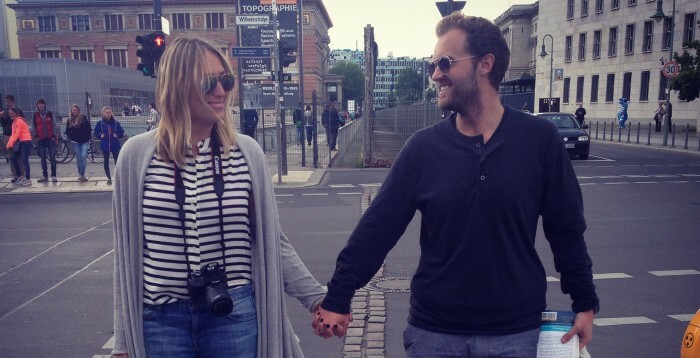 They met through Twitter, have been married since 2011, and are expats living in Berlin. Income Streams: Freelance web development (71%), freelance writing (14%), blog assistantships (8%), blog advertising (3.5%), affiliate sales (1.5%), WordPress plugin sales (1%), eBook sales (1%). Together, we have seven income streams. Andy is a freelance web developer and also sells a WordPress plugin called Peanut Butter Bar. I am a freelance writer, as well as an assistant blog manager for a well-known female travel site. I also earn income through advertising and affiliate sales through my websites, plus sales of my packing ebook. Andy quit his job and became a freelancer mid-2013, and we had saved up enough money before that to cover our expenses for about six months in case he had trouble finding his first contract. Due to the type of work he does, he has always earned enough to at the very least cover our bills and allow us to take a few trips a year. I started freelancing at the beginning of 2014, and even though I’m still not making a huge amount of money, it’s enough to contribute to our monthly expenses and it makes traveling expenses a little easier to stomach. Average monthly budget: $3,000 when traveling. Travis Sherry is the founder of Extra Pack of Peanuts and host of the #1 rated travel podcast on iTunes, the Extra Pack of Peanuts Travel Podcast. He’s also the co-founder of The Paradise Pack, a once-a-year bundle sale of some of the world’s best products in the travel and online business space, and Location Indie, a community dedicated to helping people achieve location, time, and financial freedom. He’s ridden camels in the deserts of India, scuba dived on the Great Barrier Reef, and drank (lots of) wine in Tuscany—all made possible by the fact that he can fly anywhere in the world for under $100. Income Streams: Paradise Pack sales (50%), Frequent Flyer Bootcamp (17%), affiliate sales (17%), podcast sponsorship (8%), Location Indie community (8%), Airbnb rental income (1%). 1. Frequent Flyer Bootcamp: Our flagship video course that teaches people how to earn and use frequent flyer miles. 2. Paradise Pack: A once-a-year bundle sale of amazing products that will help people travel, live, and work anywhere in the world. Only available for seven days, then gone forever and typically at a 90% discount (i.e. $2,000 worth of products for $197). 3. Location Indie: A community for people who want to become or are location independent and who want to interact with others doing the same thing. 5. Affiliate sales, including credit cards that we recommend for frequent flyers, Amazon products in our gift guides and packing guides, travel insurance, and hotel bookings. 6. The last one, renting our place out on Airbnb while we travel, is relatively new, but something that is an amazing way to pay the mortgage either partially or sometimes in full. I started my site in January 2012 and had a full-time job at the time (teaching English in Japan). I worked on it for 6 months without ever making any money and with no real idea how I was going to do it. But then I started becoming an affiliate for credit cards that I was promoting for people to earn frequent flyer miles, and so when I moved back to the US from Japan in September 2012, I told myself that if I was making $3k a month by that point, I’d try to go full-time. I might have fudged the numbers just a little bit, but I was close enough, so when I got home, I created my first product, The Ultimate Guide to Frequent Flyer Miles, and started selling that. Outside of the first wave of buyers (probably about $3k worth), almost all the money was still coming from being an affiliate for the credit card companies.Long story short, in January 2013, that got pulled out from under me and my $6k a month income basically dropped to $0. For six months, I scratched and clawed to make about $2k a month, which was barely sustaining my wife and I, who were living with my parents at the time. Then I created Frequent Flyer Bootcamp in August 2013 and then became an affiliate with credit card companies again (albeit in a much less lucrative way) and from that point forward, we have been a bit more stable. So, to answer your question: Eight months after I started my site, I went full-time the first time. At the one year mark, we took a sharp downward turn, and then at the 16-month mark, we settled in to something that was an OK level. Since then, we’ve continued to do different things to keep the ball rolling, create more value for people, and make ourselves more financially secure. Average monthly budget: $1,500 – $4,000 per month, depending on location. Marie is a native Montrealer trying to balance a deep love for her hometown and an unquenchable thirst for travel and discovery. She has been to more than 20 countries, lived abroad in both France and the UK, and is always on the lookout for authentic experiences wherever she travels—especially if they involve chocolate. Income Streams: Freelance writing (70%), affiliate sales (15%), eBooks (10%), and sponsored posts (5%). I am a freelance travel writer (which I became after many years of networking and blogging). Most of my income, therefore, comes from there, not my blog. But I do make some money off the blog, mainly with affiliate sales through Amazon and eBooks through Gumroad. I also do sponsored posts from time to time when the brand in question is a good fit with the blog and audience. It took a solid three years before I could confidently call myself a travel blogger or travel writer. Because it earned me so little money in the beginning, I felt like an impostor. It was difficult because I was not willing to give up my lifestyle or Western base (lots of bloggers opt to relocate to developing countries for lower living costs). I had to take small gigs here and throw myself at every network opportunity to get my name out there. I was also able to rely on my partner through those financially-challenging times—having paid for his engineering school, I felt entitled to no longer be the main income in our family! Now, friends and readers, back to you: Are you a blogger making ends meet? What’s your story? Thanks for interviewing me and Andy! So interesting to see the diverse ways bloggers make money to live and keep the travels going. What an interesting post! You put it so well in the intro — why we do it! The stories are great too! Real insight. I love writing for my travel blog because it combines several passions of mine into one: photography, writing, travel in Greece, and exploring Europe. Much of my income comes from being a writer that wears many many writing hats — from content writing, corporate blogging to freelance journalism assignments, etc. Blogging has given me some great opportunities and assignments along the way, so I will continue truckin’ on! Well done. Should be mandatory reading for anyone contemplating going off on their own. I know that I’ve always wondered . . . now I know. Gigi I loved this article so much! Thank you for this. I think aspiring location independent wanderlust entrepreneurs need to see this to get a dose of reality but at the same time inspiration that it is possible. I have been in the cycle of working a job quitting and then when all of the money is gone working another job and so on. This round I am going to take all of my earnings and move to Southeast Asia to live cheaply while I build. I will also have a multiple income stream plan that I start on before I quit and move. Thanks! I don’t make money blogging. I’ve thought about trying to because I don’t like relying on one income source but I find it a bit ick. When I read popular travel blogs, it seems like they put an unrealistic spin on things. Posts like ‘the best 10 things to do in X location” when they have only spent a weekend in the place really bug me but that seems to be what gets the readers in. 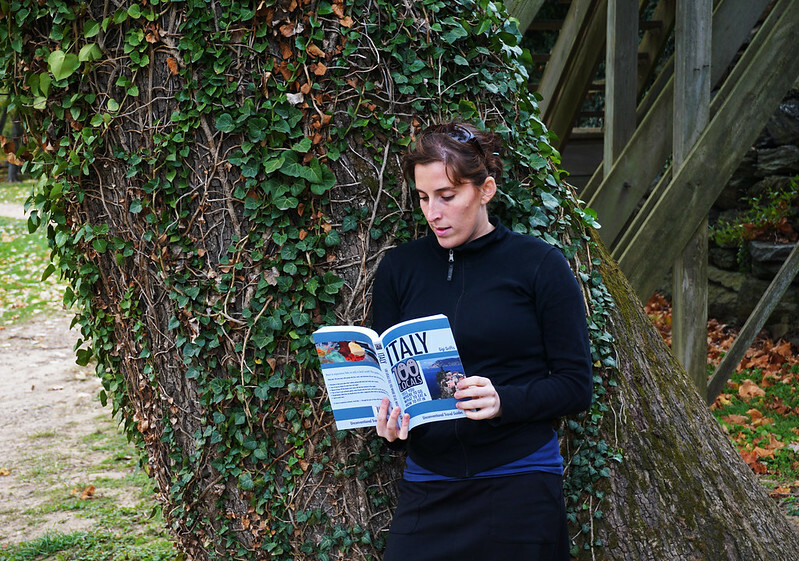 Personally, I’d prefer to read and write about the true stories of travel, the good and bad. So even if I don’t make any money, I’m happy to not have to fall into that kind of rose-tinted style of writing. What a wonderful post this! One thing that stands out is that the job of a Travel blogger may look like a glamorous one from the outside, but it is a very tough one in reality!! 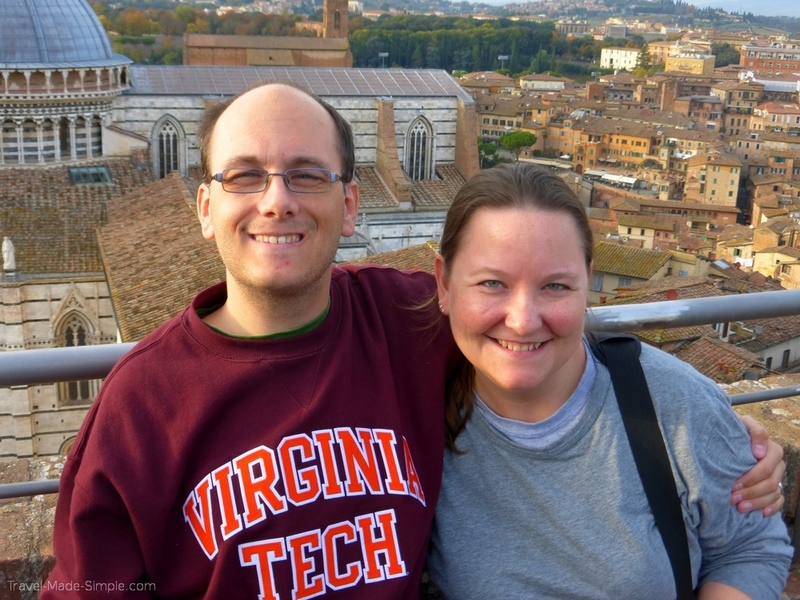 Arti recently posted…6 Insights from My 6 years of Travel Blogging! Wonderful insights into the world of travel bloggers.. I think the biggest lesson is to keep your income stream diversified and look for recurring annuity kind of income like e-books / royalty etc. while taking any other comes your way as a bonus… thanks for compiling and sharing the same, as it really helps to bloggers in emerging markets like India where I am based. A great post and very informative for anyone wanting to venture out into this business thinking it’s either easy or a way to a quick fortune while enjoying a tropical beach. Thank you for sharing this breakdown of how travel bloggers make money while on the road. It has been a real eye opener and makes me wonder if I have what it takes. With this information I will be going back and really thinking about my two travel blogs (one for humans and one for dogs) and see what I can do with them before launching off into the deep end without any clue on what I am doing. This was really enlightening in its diversity and honesty, thanks for compiling this list! Have you found things to change much since you first published it? I look at this and other things like this and don’t know whether to feel inspired that it takes hard work and can be done, or whether to feel like I missed being able to do it by not getting into it early enough. Glad it was helpful! I’d say this is all still pretty accurate, though I do know one of the interviewees has started making much better money on affiliate sales. For the most part, the finding of “bloggers make money from something other than blogging” stands true.